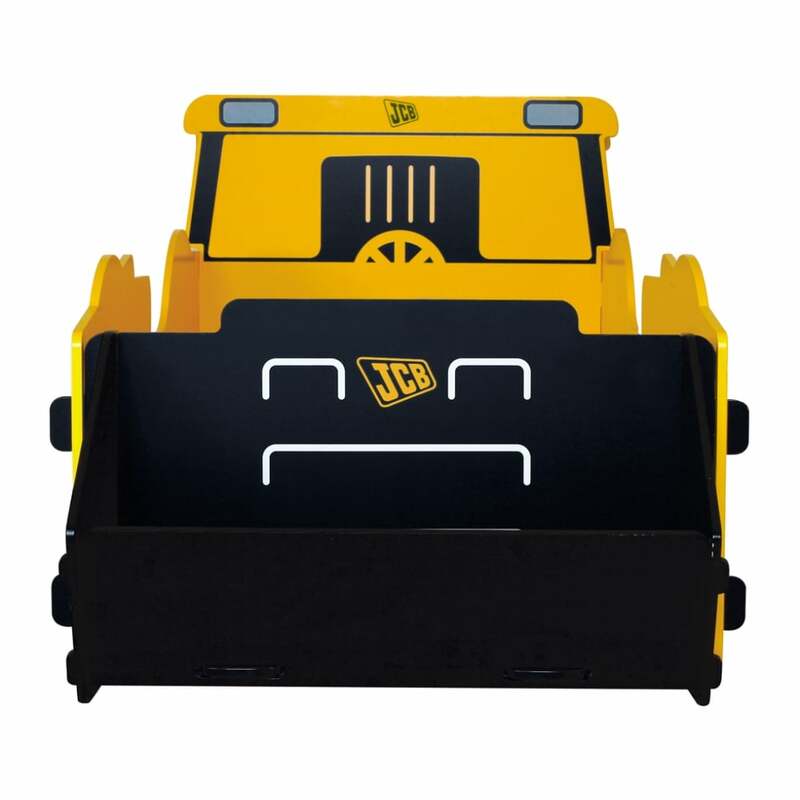 The Kidsaw JCBB 3ft single bed features an awesome JCB 4CX digger screen printed design. 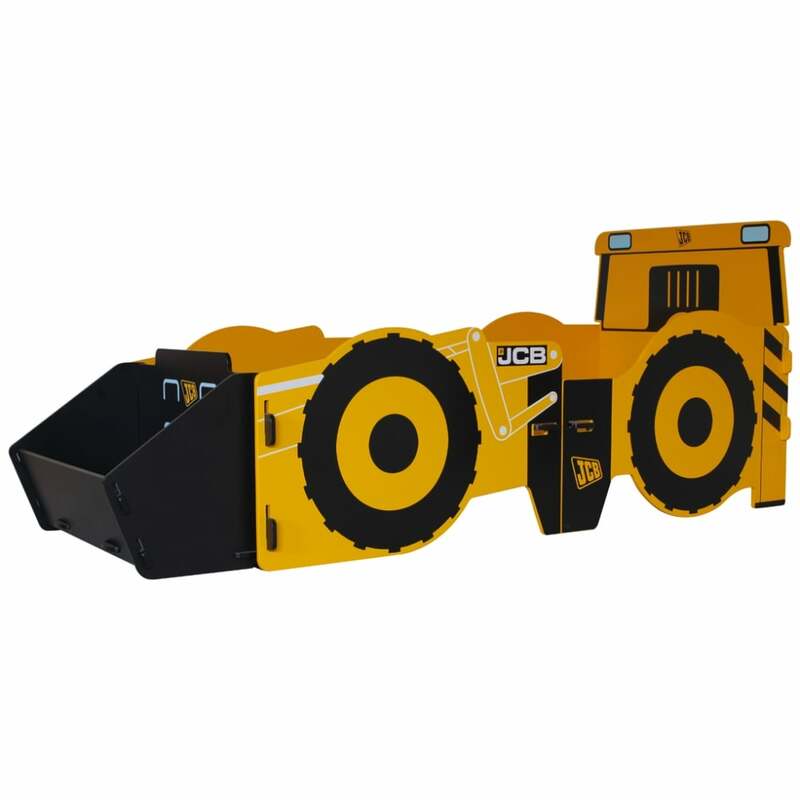 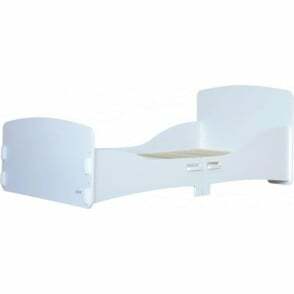 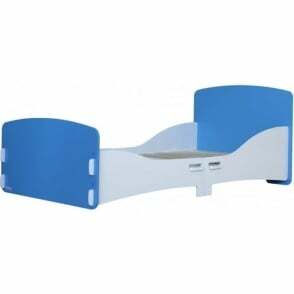 The JCBB 3ft singleJCB bed by Kidsaw also features a scoop to the foot of the bed, which acts as a toy box. 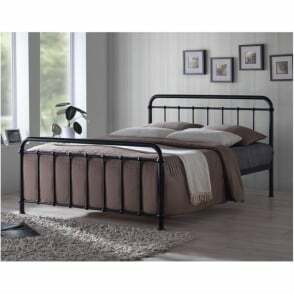 This 3ft single JCB bed frame take minutes to assemble, the pieces simply slot together like a jigsaw with only the slats requiring screws. 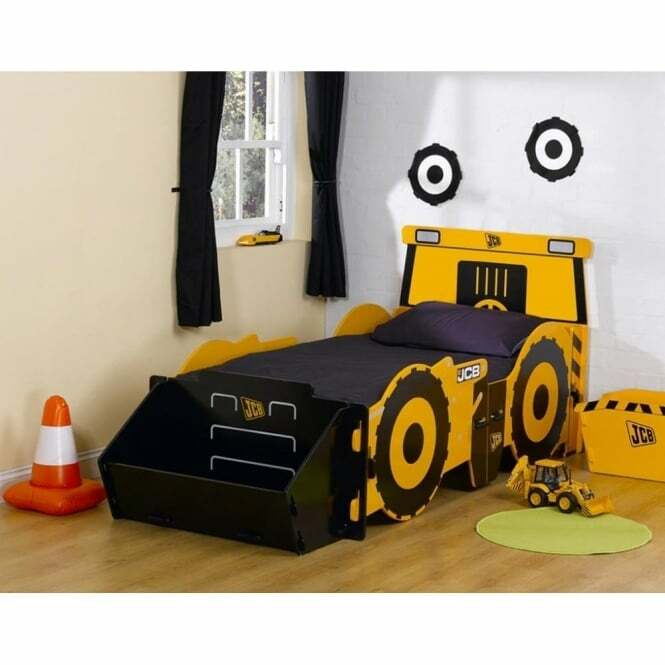 Suitable for use with a 3ft single mattress measuring 90 x 190, this JCBB Kidsaw JCB themed bed frame is sure to entice your little boy up to bed when required. FurnitureSOS is an official retailer of the Kidsaw brand, so this Kidsaw JCBB 3ft single JCB bed comes with a manufacturer's warranty.